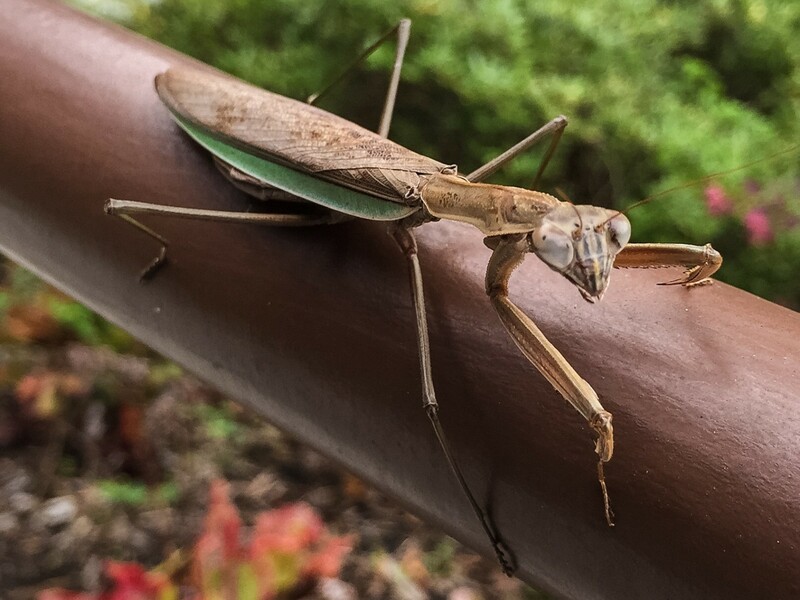 I took some liberty by condensing the self-title to today’s pick, which should be: “Preying Mantis on the Hand Rail Outside HP Headquarters”. Does that reveal where our shooter, Don DeBold, works? Living in San Jose, Calif., he is an IT manager. I wonder if Don purposely misspelled the insect’s name, which should be “praying”. The one variation describes what the bug looks like it’s doing and the other what it actually does. Mantids are formidable predators, even against the deadly black widow. I raised them autumns during high school. Don captured the moment using an iPhone 6. Vitals: f/2.2, ISO 32, 1/120 sec, 83mm. He joined Flickr in April 2006.